Tomorrow, as part of my library summer seminar in England, I’m visiting the Bodleian library in Oxford. One thing I’m interested in asking about is their “What’s the score at the Bodleian?” project. The Bodleian has a huge collection of 19th-century sheet music (back when printed was the only transportable medium for music) that they would like to digitize, but they don’t have the resources to do so. “What’s the problem?” you might ask, “Don’t they just need to run it through a scanner?” Well, the scanning part is not the time-and-money crunch with digitization projects—it’s the metadata. Metadata is the information that is attached to the digital picture. 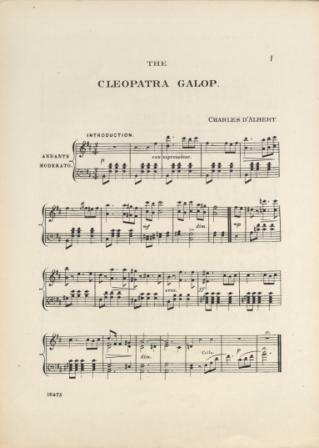 in the case of sheet music, useful metadata might be the title of the work, composer, the lyricist, a description of the cover, and publication information. Metadata makes digitized images searchable and therefore findable and useful. Sheet music metadata, luckily, is relatively easy to locate and enter, even for non-musicians, and so the Bodleian has decided to crowdsource the project. They are putting this digitized sheet music online and letting volunteer digitizers fill in the metadata. With this project, the Bodleian is following the lead of the New York Public Library, whose "What's on the menu?" project has been a huge success. So far, NYPL has digitized almost 17,000 historical menus using volunteer support. These two aren't the only volunteer digitization projects around, either. Trusting non-cataloging experts is a big leap of faith for institutions to make. But if they can figure out how to train volunteers, and a find a crowd of willing people, then they can digitize much, much faster than with only their own paid experts. Still, these projects not free; it takes some dedicated staff to coordinate and curate all the entries, and both NYPL and the Bodleian have some major funders. Even with major volunteer support, these projects would not get off the ground without this extra money. Of course, the other reason I'm interested in "What's the score at the Bodleian?' project is that part of my job at UNC's music library is the exact same thing—minus the digitizing (If only I could get everything scanned, maybe I could get volunteers to do my job, too…) Our collection is not quite a old as the Bodleian's, mostly from 1900-1950. It is kind of fun, actually, to see what's changed and what hasn't in popular music from years ago. Have any of you participated in a crowdsourced metadata digitization project? What did you think? I can't resist making the comparison of the craziness of this video, "Fashion Monster," to the craziness of the Fame Monster, Lady Gaga. While both visual styles seem to come from left field, clearly, their brands of crazy are different. While Lady Gaga is crazy in a shocking, sensual way, Kyary Pamyu Pamyu is crazy in a cute, mystifying, maybe endearing way. It's craziness for the sake of crazy, instead of crazy for the sake of shock (2). Usually, intro material is taken from another section of the music, like the verse or chorus, but here the intro material is distinct (though related). This material also surprisingly comes back in the middle of the song. And also surprisingly, instead of the second "intro" leading to the chorus, it leads to…the bridge! We hear the chorus before the verse, but without words. I think this has the effect of making the music more celebratory (clearly what the video is portraying), but keeping the stakes lower and allowing the worded chorus to still have some extra impact when it finally arrives. A song's bridge is a contrasting section that arrives near the end of a song to break up what being repeated the most, usually the chorus. Instead of being a normal, short bridge, "Fashion Monster's" bridge gets stretched out, hanging out on the same chord. It is such a relief when the music finally changes, but unexpectedly, what follows is not the chorus, but the verse! I think this transition between the chorus and verse 2 is the most effective moment in the song, and it comes a long way from a chorus, usually the big payoff in a given pop song. While the second verse is structurally almost identical to the first, the slight timbral differences make all the difference. After the second verse, we predictably return to the chorus. Usually, at this point we would expect the bridge, but the bridge has already been used up. "Fashion Monster" instead goes back to the wordless chorus—but this wordless chorus is different than the first wordless chorus, taking the chorus to the song's climax with new harmonies. We then get another chorus and a wordless chorus to close out the song. While four choruses in a row is a bit much, it does makes some sense structurally. And these final choruses have some timbral variance to make their repetition a little more interesting. A few other non-structural thoughts: the musicians, though not really playing their instruments, are actually making a good effort to play their props, albeit in a stylized way, which I think is cool. Also, in a last comparison with Lady Gaga, it's interesting how high Kyary Pamyu Pamyu's voice is. It almost sounds infantile to U.S. audiences, which is the kind of character she seems to portray. This type of high, female voice is not unusual in Japan. In the U.S., however, pop music gravitates toward much lower female voices, despite the fact that the majority of women actually have relatively high singing voices (4). "Fashion Monster's" words are about having the choice to be creative and free, and I think it succeeds in being both of those, both visually and musically. What do you think about "Fashion Monster" and Kyary Pamyu Pamyu? Are you as fascinated as I am, or do you think this just sheeny pop music with a crazy video to grab your attention? (If you are fascinated, you should see this, too). (1) Extra credit if you can catch the Hayao Miyazaki reference. (2) To understand a bit more the culture Kyary Pamyu Pamyu comes from, do a quick image search on "Harajuku fashion". (3) It's somewhat impossible to tell who actually wrote the music to "Fashion Monster." (4) Many women in the U.S. also speak lower than they naturally should, leading to all sorts of voice problems. Digital Music Resale—around the corner or a pipe dream? Today, I want to talk a little about digital music resale. In order to do that, we have to talk about the legal doctrine of first sale, which basically states that once someone has purchased a copyrighted object, be it a toaster, book, or CD, etc, they can do whatever they want with it. Resell it, lend it, trash it, give it away. First sale makes libraries possible—without it, they would have nothing to lend. Or awesome library end-of the-year library clearance sales. First sale has been upheld time and time again in the courts. But digital music presents a problem for first sale. It isn't really a material object, which is what first sale was designed for. Copying is more complicated, too—who holds the "copy," the producer or the consumer? Can you even tell the copy apart from the original? Despite the many advantages of digital music (like storage and portability), the murkiness of digital music rights management (and the terms of sales that you usually skip past when you purchase) doesn't allow libraries to legally buy or lend digital music downloads. And yet, lots of important music is only released digitally. This is bad for two reasons: 1) access—libraries cannot make this music available to its patrons, and 2) preservation—with the quick rate of technology obsolescence, or when technology no longer works because of hardware or software incompatibility (like the VHS tapes you no longer have a way to play), who knows how long it will be before the digital music released today is no longer readable? Music labels and artists have long been known to be bad preservers of their own material. Of course, music is not the only platform that digital resale affects. This is also an important issue for the e-book and computer game industries. This videoblog post from last August discusses some possibilities for the future of computer game digital resale, which they claim is inevitable. The company ReDigi formed to try and solve the digital music resale conundrum. 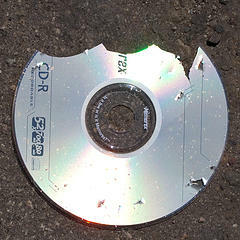 They developed software that they claim allows people to resell their MP3s by ensuring than the seller's copy has been wiped off their hard drive. I assume this technology could eventually be redesigned to let libraries lend their digital copies, also. While this resale is technically against most music's user agreements, it was a battle ReDigi was willing to fight. Unsurprisingly, ReDigi was quickly sued by Capitol Records, who were not happy with this whole digital resale idea. They'd rather be in complete control of everything they produce. The court sided with Capitol Records, but in a strange way. They claimed that you could legally resell your MP3s—but only if you sold the physical object into which the music was downloaded, i.e. your hard drive (you can read more about the court case here). Who would do that? While they lost the case, ReDigi has redesigned their software so they think it is compliant with the ruling—and are appealing. Do you think digital resale is inevitable? If so, how do you think it might happen? I've been busy processing new books for the music library (about 100 per month), and I write down the ones that I think would be interesting to read, had I the time. Here's my second installment. Maybe you'll see something that you would like to explore. Debussy: La musique et les arts - a French coffee-table book covering an exhibition in the Musée d'Orsay in Paris last year. 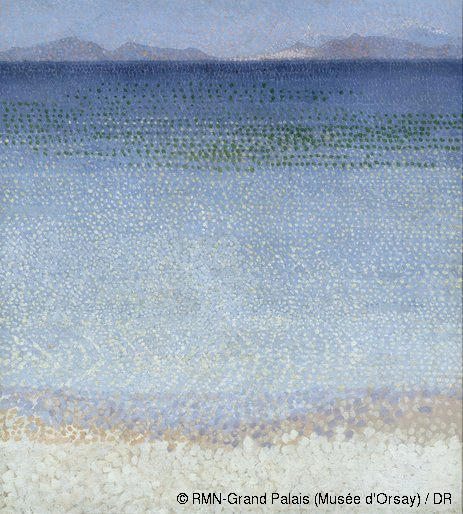 There’s been a lot of speculation about the role art played in Debussy's composition, but this book puts Debussy in the context of the artists he was viewing and collaborating with, instead of simply showing a couple of Impressionist paintings (a movement considered old-fashioned when Debussy was starting to write music) and then listening to his Nocturnes, which is the normal music education route. ‘Rock On’: Women, Aging, and Popular Music, edited by Ros Jennings and Abigail Gardner - It seems that some women can keep on making popular music, but only if they look almost like they did at 25. The Saxophone by Stephen Cottrell - History of the saxophone, its uses and symbolism from its invention to the present. Whose Spain? Negotiating “Spanish Music” in Paris, 1908-1929 by Samuel Llano - Paris was the place to get a music education or to make new music during the early twentieth century, so many Spanish composers went to Paris to study and wrote their own Spanish music, and then the French composers started writing “Spanish” music, too. Redefining Mainstream Popular Music, ed. by Sarah Baker, Andy Bennett, and Jodie Taylor - A few Australians asking the question: What is mainstream music, anyway? Has it changed over time? Music in Science Fiction Television: Tuned to the Future, ed. by K.J. Donnelly and Philip Hayward - Those stereotypical music cues in SciFi television had to come from somewhere. Essays about the music in Lost, Star Trek, Doctor Who (old and new), the Twilight Zone, Lost in Space, and others. The First Four Notes: Beethoven's Fifth and the Human Imagination by Matthew Guerrieri - I don't think I've ever seen a book on just four notes before, but I guess in the case of Beethoven's fifth, that first motive has accumulated a lot of extra meaning over the years. Greenback Dollar: The Incredible Rise of the Kingston Trio by William J. Bush - Ever wondered why the Kingston Trio broke the charts in the 1950s when their music was nothing like the rest of the popular music of the day? And how they influenced other musical groups that followed? By the way, the place where "Tom Dooley" first hit no. 1 and so caught national attention? Salt Lake City. Contemplating Shostakovich: Life, Music, and Film, ed. by Alexander Ivashkin and Andrew Kirkman - Essays on the Soviet composers whose musical meanings were and had to be cryptic. Will we ever know what he really meant? At least he provided endless work for generations of scholars. 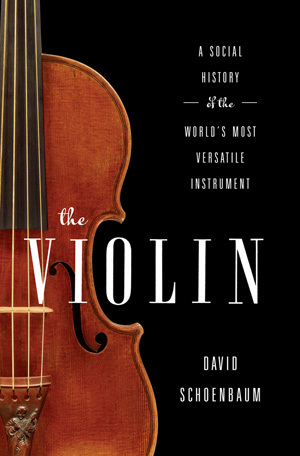 The Violin: A Social History of the World's Most Versatile Instrument by David Schoenbaum - Did you know that the violin is used for music in almost every culture? More a popular book than scholarly. The Accessibility of Music: Participation, Reception, and Contact by Jochen Eisentraut - Have you ever wondered why some music is easier to listen to than other music? What effect does that have? Understanding Society Through Popular Music by Joseph A. Kotarba, Bryce Merrill, J. Patrick Williams, and Phillip Vannini - Music surrounds us, so what better way to understand society than by studying the music most heard by the culture? Sections on self identify, families, religion, politics, globalization, subcultures. Meant as a text for undergrad courses. Gender, Branding, and the Modern Music Industry by Kristin J. Lieb - A really interesting exploration into the idea of the female pop star, prioritizing sexual attractiveness and their body over their music, and the changing roles they have to play to stay on top until they age out ungracefully. Any of those books sound interesting (or uninteresting) to you? Are there any other music books you wish you had time to read?